Offering more online driver courses to meet all of your driving needs! MATURE DRIVERS SAFETY COURSE and TRAFFIC SCHOOL. As affiliates of Traffic Safety Consultants, Inc., we are able to offer their DMV-licensed online classes. Additionally, these courses will enable you to complete the class within the comfort of your own home. Moreover, it is fast, convenient, and interactive. Lastly, the course is comprehensive of all required information by the State of California. Our DMV-licensed traffic violator school (TVS) Internet course is licensed for use statewide in California. The easy-to-read program is entertaining, informative, and loaded with colorful graphics, videos, cartoons, and jokes that will have you laughing while you learn. Best of all, you can take it from the comfort of your own home (or wherever you have Internet access) and complete it in a few hours or over a few days—it’s up to you! So, register now and you’ll be back on the road to safe driving in no time! It’s traffic school made simple and convenient! Our state-approved insurance reduction courses for mature drivers can save you up to 15% on your automobile insurance premiums. 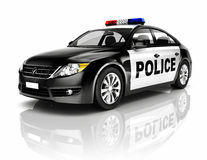 Simply complete the easy-to-read defensive driving course to start saving. Traffic Safety Consultants’ online mature driver improvement course allows California drivers age 55 and older to save money on their auto insurance premiums. State law requires insurers to reduce rates for three years for a driver who completes a DMV-approved accident prevention course, and older motorists can take a “renewal” course every three years to maintain the discount. Like all of TSC’s Internet-based courses, this simple online program is usable even by students who don’t have a great deal of experience with computers. The easy-to-read instructional content is supplemented with colorful cartoons, charts, and video presentations that thoroughly explain the material, and you can finish the course at your own pace by signing in and out of the program as you like.